Aged beef is the delicacy for which we all yearn. When selecting a steak for tenderness and flavor, often the consumer may ask, “Which is the right steak for me? Dry-aged beef or a wet-aged beef?” The answer depends upon which flavor one prefers, tenderness, fat content, and juiciness factors, and how much one wishes to pay. When learning about wet-age beef, one must understand how the process begins. 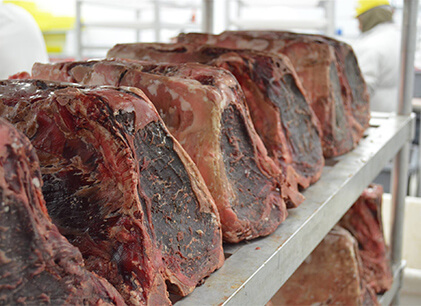 Once the steak has been placed in a cryovac sealed bag or a sealed plastic bag, it is placed in a refrigerated room for at least 3 weeks as it begins to tenderize. Beef cattle that have been raised on natural grains without antibiotics take more than 6 weeks to age as the animals are older when processed, and therefore, tougher. Wet-aging beef is the more “modern” process because plastics were not popular until after 1960 (remember The Graduate? ), at which time the wet-aging method became in use. 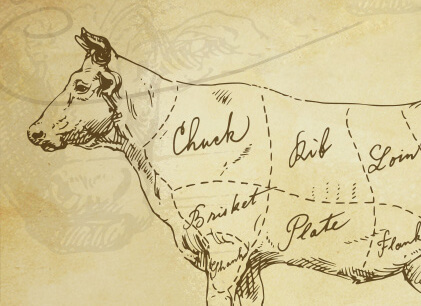 In research conducted by the Nebraska Beef Council in conjunction with the University of Nebraska, customers were given dry aged beef and wet aged beef then asked how much they were willing to pay for these steaks. In blind taste tests of 4 or more steaks, the consumers were more interested in tenderness of the steaks, as opposed to marbling or fat content. In this case, published in the article entitled: “U.S. 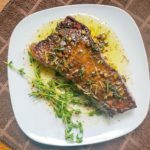 Consumers’ Willingness to Pay for Flavor and Tenderness in Steaks as Determined with an Experimental Auction,” steaks were ranked by tenderness, juiciness, and flavor. 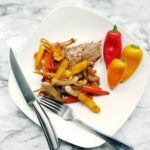 The most preferred element for the consumer was tenderness, which was judged to be just as agreeable with the wet-aged beef as the dry-aged beef. Wet-aged beef is served more expediently than dry-aged beef because of the time it involved in aging the beef. Wet-aged beef is placed in a cryovac bag when transported from the processing plant to the butcher. The cryovac bag requires all the oxygen be evacuated from the bag, which provides for a longer shelf life long after aging is complete. During the transportation time, the wet-aging takes place naturally. The aging time can be from 21 days to 42 days. Scrumptious, succulent, wet-aged tender steaks are hand selected with care by our trained chefs to be moist, juicy, and full of flavor. Our professionally trained chefs have a rigorous quality control standard that ensures our steak customers are both happy and well satisfied with our excellent wet-aged steaks. Whether you prefer the Porterhouse, the T-bone, the Bone-In Ribeye, or the exclusive Bone-In Filet Mignon, there is a wet-aged steak just calling your name, waiting to visit your table from Chicago Steak Company. Prev Wet-aged Vs Dry-Aged Beef: What’s the Difference?